We are situated in the heart of Northern Ontario. A small company with big products and big ambition. 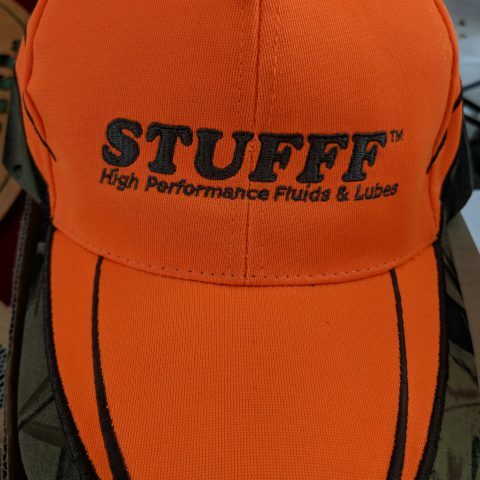 We started out making simple Biodiesel but there is nothing simple about this STUFFF ™now. Our high quality product line is all Non-Toxic and completely Biodegradable and generated from renewable feed stock. But more importantly, will work better than anything you have used so far. True fluid performance. 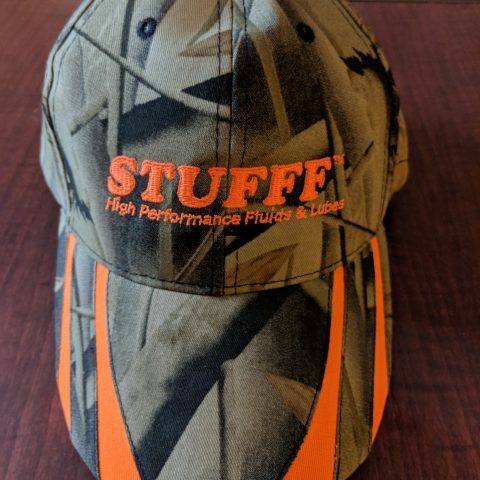 STUFFF ™ was derived accidentally. While working on a truck one day I ran out of a competitor’s products. I was a happy "Home Brewer" of biodiesel so I grabbed a bit of it and put it in a squirt bottle to use as a lubricant. To my amazement it worked fantastic. Much better than the other stuff I had developed a habit of buying. The more I used it on all the job I did the more I realized all the powerful characteristic the vegetable oil based product had. I began to see that I might be on to something. Every test I ran exceeded my expectations. Every time my expectations were exceeded I grew more and more excited about the possibilities. The more I tested the more I found new ways to use the STUFFF ™. Problem was, I was coming up with all these great ideas for product lines but didn’t have a clue what to call this stuff. I was referring to stuff as "stuff". 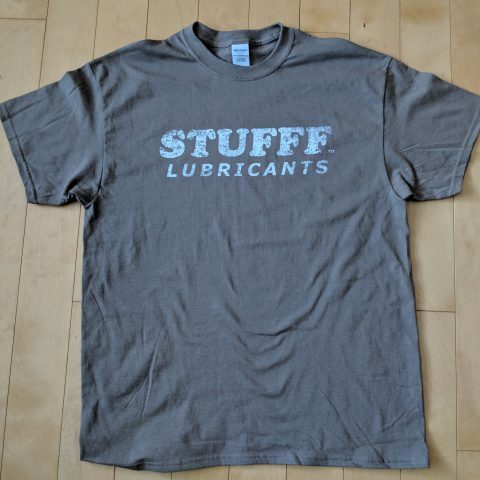 A friend saw the obvious and suggested I call it STUFF. So, I checked on copywrite and trademark laws and discovered that common words aren’t eligible for a trademark. Turns out that Stuff is a common word, who’d a thunk? But, STUFFF ™ isn’t common. That was it. I applied for the trademark on STUFFF ™ and started producing sample products. 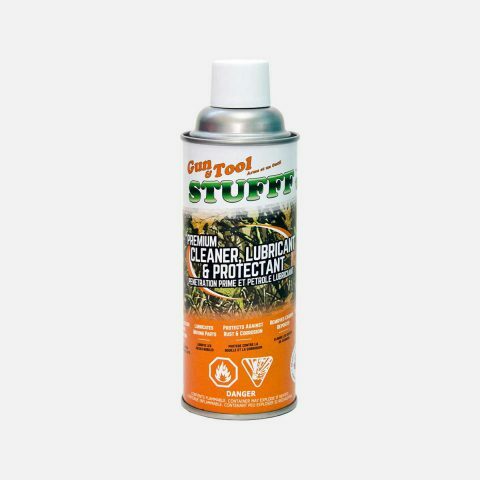 First came Shop STUFFF ™ (a powerful penetrant) in squirt bottles, then came Shop STUFFF ™ in spray cans, then came Lube STUFFF ™ (a powerful lubricant), then Chain & Cable STUFFF ™. The product offerings have change with market demand but the performance has stayed the same or better. And it’s not stopping there. More High Performance Fluids & Lubes are in the works and currently being tested. Now we are officially "Patent Pending" on all our products as well as the process we use to make the products in both Canada and the US. Here we are, happy to be providing high quality, high performing industrial fluids & Lubes to demanding and hardworking industries. Proud member of the Sault Ste. Marie Chamber of Commerce.